Happy Monday, friends! 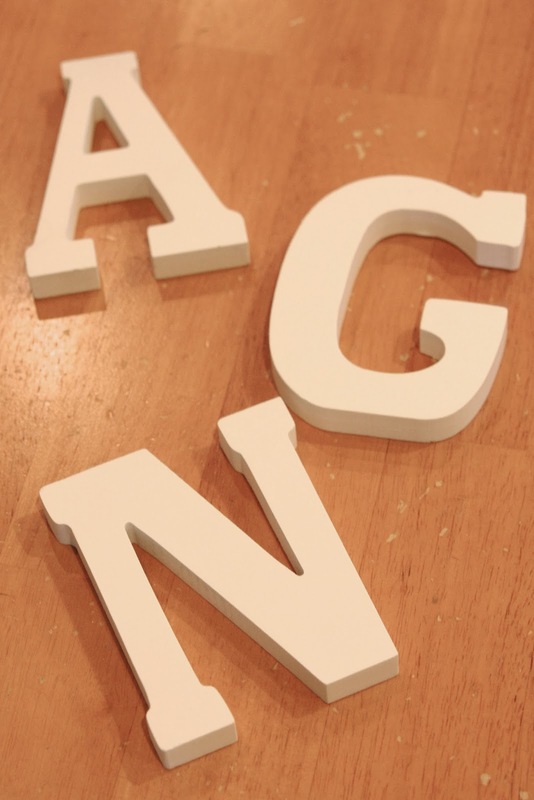 The playroom is well on its way to completion…Or as close to completion as I can get. You guys know me, always new ideas and new tweaks. And all for the better! 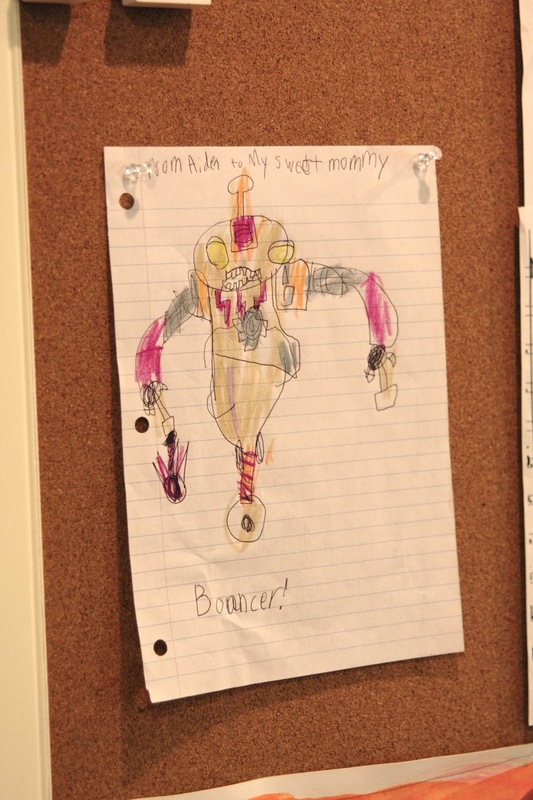 If you’re a parent you know the one parenting battle we all struggle with – how to organize, archive and display all of that adorable art / schoolwork your kiddos bring home. I’m still working on the organizing and archiving part, but the display issue? solved! 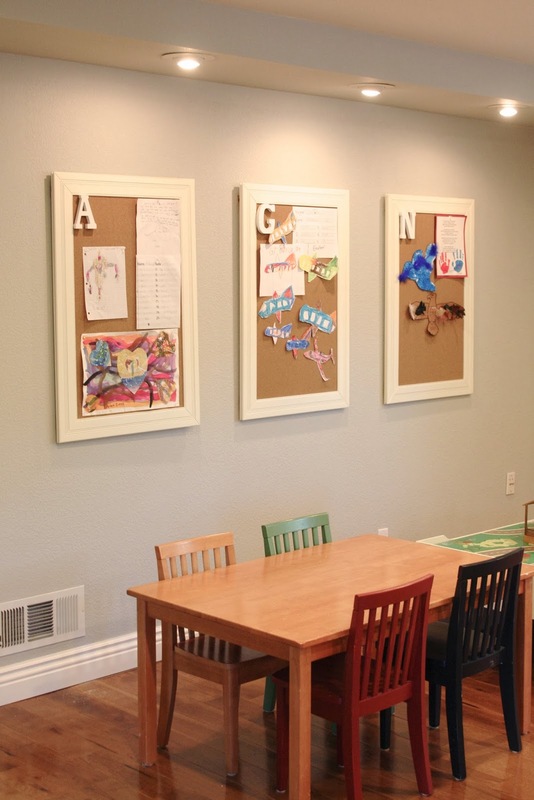 There is a great wall in the playroom that is the perfect spot for a kids art display. However, I didn’t want the entire wall to have a cluttered look because the room is in the main living area of the house. 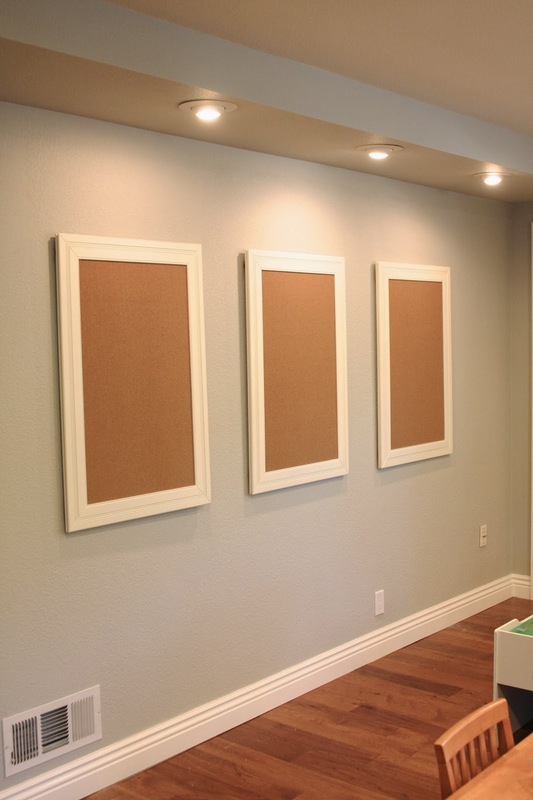 I looked into all sorts of art display options, but ended up going the simple route – 3 white framed cork boards…. I love that this display is clean and simple. 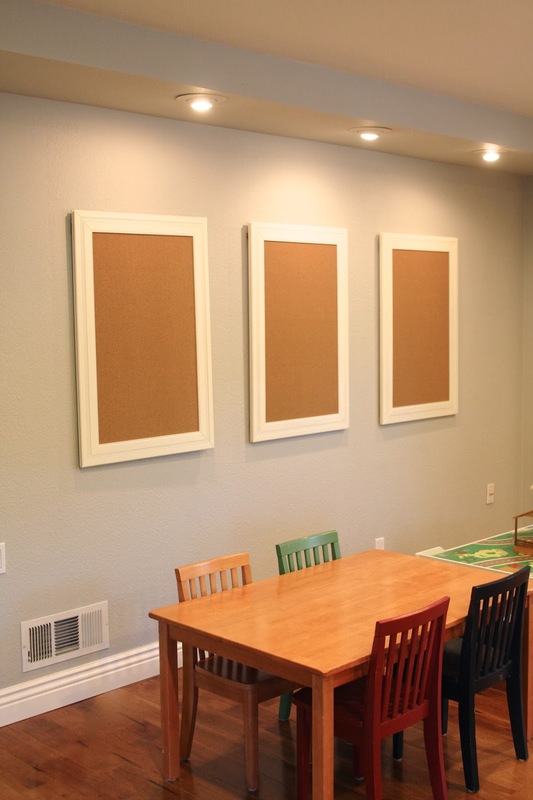 The white frames allow the art to take center stage. It warms up the playroom a bit more without making it look more overwhelming in here. as it is, the toys are enough to overwhelm the space. 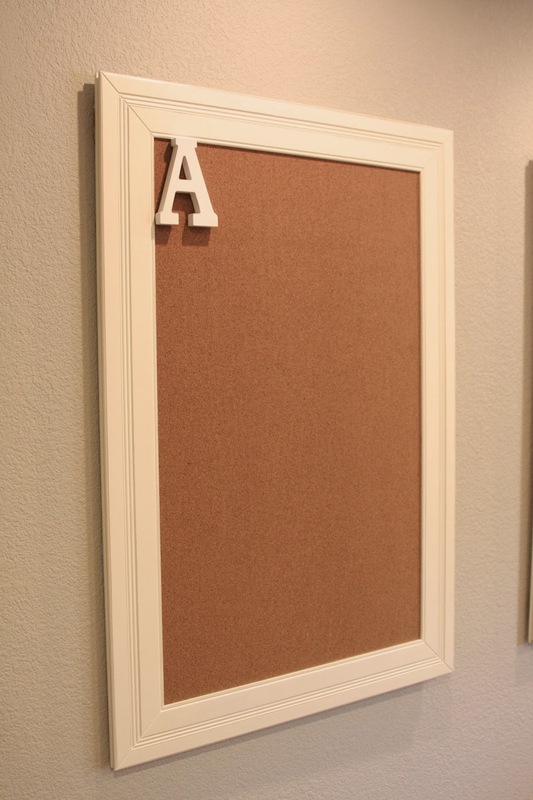 If you’re looking for a simple way to display your precious pieces of children’s artwork, this is a great solution! If you have a great solution, share it with us! Love the look! Can you share how you managed to space them out and line them up so perfectly? 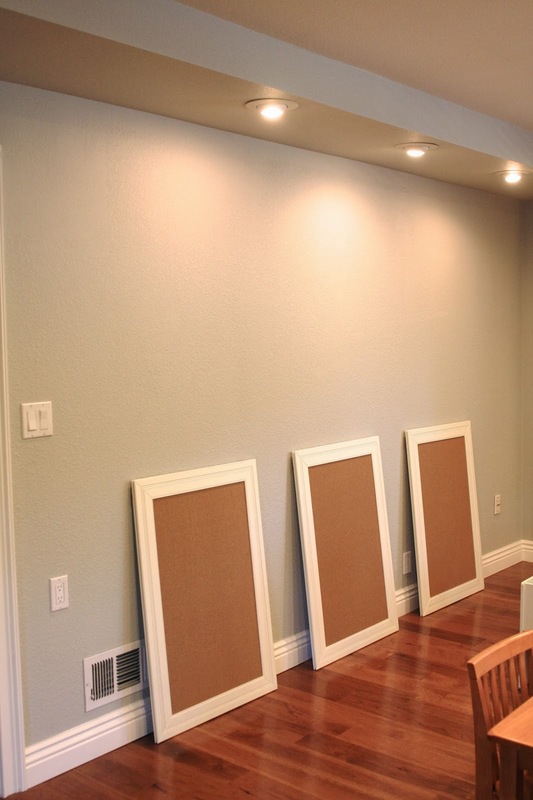 I have 3 pictures I wish to hang and the just the thought of how to hang them correctly has me paralyzed! I love this!!! 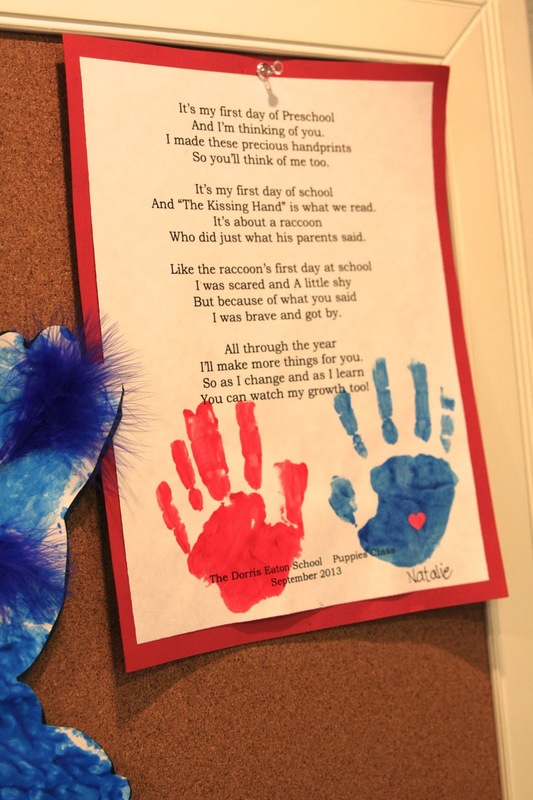 What a great way to display kids artwork. Love it!! Can you tell me that awesome wall color? Love your work!